What is Employer Branding and How Can it Benefit Your Small Business? Employer branding can help your business succeed with hiring qualified candidates. But, what is employer branding, exactly? With unemployment currently at 3.9%, it's a tough market for hiring managers at the moment. As a result, you'll have to make your company as attractive as possible to find the best employees. That's where branding comes in. You've probably heard of branding as it relates to marketing. But what is employer branding and how can it help your business flourish? Here's everything you'll need to know to establish your company as the perfect place to work. What Is Employer Branding, Anyway? If you ask 10 different companies to define employment branding, you're likely going to get 10 very different answers. For the sake of this post, however, we'll be using our own. Employer branding is an umbrella term referring to a cluster of efforts by your company to establish and affirm an image of your workplace. Often, companies use marketing methods similar to those they'd use in an ad campaign. For the time being, think of employment branding as any actions you take to highlight your business and showcase it to outside talent. Now, let's look at how a few major companies use branding to establish an identity. Google is an absolute master of branding. In fact, reading the brand's name likely conjured up images of the company's colorful logo. Suffice to say, they're quite good at what they do, and that extends to their recruitment process. Google's strategy is one so powerful, they subtly turned an entire film, The Internship, into one great big promotion highlighting their workforce. Their strategy often relies on appearing down to earth, making them the fun place to work. From ping pong tables in the break room to gourmet food at the cafeteria, Google took the start-up approach to branding and made it mainstream. From one monolith to the next, Starbucks also excels as branding. Though it doesn't have the backing of a movie starring Owen Wilson and Vince Vaughn, Starbucks' approach focuses on the employees. In fact, Starbucks has one of the most competitive employee benefits packages out there. The baristas who make your delicious beverage each day have access to health care, free online college, yearly raises, and even company stock. It's no wonder why the green siren's song is so alluring to talent! Though Taco Bell's internal branding strategy isn't as widespread or powerful as the two aforementioned companies, it's still quite impressive in its own right. Taco Bell's main focus is employee retention, as highlighted in its 'Start with us stay with us' campaign, which sheds light on Yum! Brands' love of hiring from within. It's a smart strategy, especially in an industry where turnover is notoriously high. Why Does Company Branding Matter? Now we know a bit more about employment branding. But does it matter as much as we're implying? Let's say you're out of work and looking for a new job. As you begin your search you find yourself awash in a sea of companies that, frankly, all sound similar. Then you come across an employer that stands above the rest. Their listing is fun, they talk about company culture, and they offer a competitive signing bonus and benefits package. In the span of a few moments, you've forgotten about every other application you sent out. On the flip side, let's say you're an HR manager looking to make some changes to your company's hiring policies. Branding can benefit you, as well. Better branding can decrease the amount of time you spend on the entire hiring process. And at the end of the day, you'll have the best hire, too. It's clear that branding should be a huge part of any company's strategy. But finding ways to create and implement that great image can be difficult unless you know how to effectively use your time, money, and efforts. Here are a few of the most effective branding methods to try. You can try and convince talent that your company is great until you're blue in the face, but don't expect it to work. They'd much rather hear it from those who work for you. Employee testimonials give an inside look at your business, showing would-be hires what your company stands for and what they can expect. Start by asking employees what they love about your company and what it means to them. You can even use these testimonials as content. For instance, around Thanksgiving, you can publish an employee-driven post about what your team is most thankful for. Office culture can make or break a company. If your workplace is drab and dreary, you can't expect much productivity or new hires. Instead, show off how fun and vibrant your office and its staff are. Take some photos or videos of your office throughout the workday. You may also want to highlight the quiet, human moments between coworkers and the fun, bombastic atmosphere of an employee celebration. Whatever the case, show off your office. As the saying goes, a picture is worth 1,000 words. As important as outside perception of your workplace is, you'll need more than that. Make sure you're prepared to offer a sufficient benefits package to your employees. Go the extra mile for your employees, and they'll go the extra mile for you. Include vision and dental, a 401k, and discounts at local retailers or a health club membership. Think about the types of fun, practical benefits you'd want. Chances are your employees would like them, too. Finally, make your listings as compelling as possible. Tell a story about who you are as a brand and why new hires should take an interest in your company. Use vivid, descriptive language. Highlight how exciting and important the position is. Be sure to mention any additional benefits or perks that come with the job. So, to wrap things up, what is employer branding? It's a way to stand out from your competition. It's a way to attract the best talent around and encourage them to be successful within your company. Best of all, it's a way to grow your business while showing off the heart of your team. We work with businesses like yours each day to help them find the tools they need to succeed in today's market. If you're interested in learning more about how you can streamline common HR processes for your business, be sure to get in touch and ask about our services. Earlier this summer I picked up the book Make Your Bed to read with my kids. It was a book I purchased on a whim at Target (hoping to inspire my kids!) 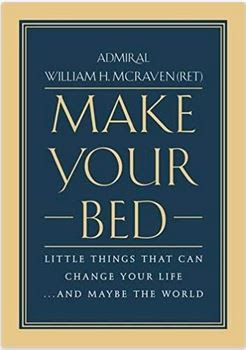 written by Admiral (Navy Seal) William McRaven. It has a significant amount of leadership, personal fortitude, and integrity lessons throughout that are relevant to the workplace. The author told numerous stories that will stick with me. Most of the stories started with a lesson about himself as a Navy Seal trainee and then turned into a story about how someone else lived out the lesson. His style was humble even given his status as an Admiral. We started reading it aloud chapter by chapter and it found its way on several road trips (a softball tournament, San Juans, the beach, Sunriver). With each chapter we had to stop and google information that was referenced including ‘hospital corners’ and what it means to a Navy Seal when they become a ‘sugar cookie’. We researched fascinating leaders, world history, and the rigors of becoming a Navy Seal — all while learning important life and leadership lessons. It’s surely not your typical business book but the lessons and content are certainly relevant to people and workplaces. Sixty-nine percent of employees who experience a proper on-boarding stay on the job for three years. If that’s not enough to catch your attention consider this: 20 percent of turnover happens in the first 45 days (Click Boarding). We know that no business sets out to create an environment of chaos or one that is unwelcoming or even one that is boring, but new hires frequently report that their on-boarding is all three. New hires often report that they don’t have enough to do. Sitting at a desk or workstation staring at the computer with nothing to do to be productive is dreadful. And, it happens to new hires frequently. 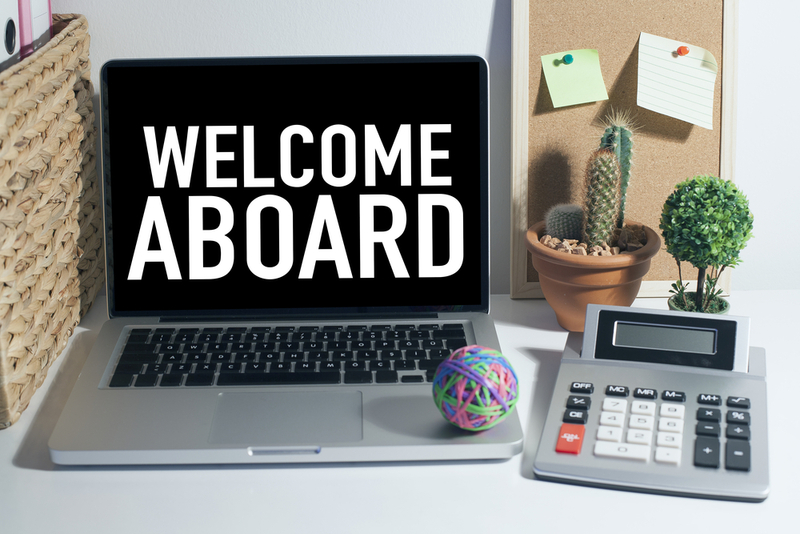 An onboarding plan is a method by which a company acclimates, engages and retains new employees (Society of Human Resource Management). On-boarding is the secret sauce to cultivating a great team. What should be included in an onboarding plan? Stay connected to your new recruit between the offer and their first day. Start on-boarding before your new team member’s first day by sending a welcome email or even a video greeting. This email will tell the employee what time and where to arrive on the first day of work, what they should wear and perhaps a bit about their first-day schedule. It will also convey how excited you are that the team member is coming to work for you. Share the news with your current team about your new hire, their start date, and some details about their background. Proactive communication with your team will help create an inviting environment for the new hires’ first day and transparency for your workforce. Mail a card to the new hire signed by the entire team. The ideal first day should have a fully booked agenda with minimal downtime. Okay, just a little to let the employee login to systems and email. But not too much or things get boring. Naturally, the first day will include a meeting with their manager and also Human Resources or Payroll for important first-day paperwork. Show team members that you are expecting their arrival by creating a new hire welcome kit and have it sitting on their desk on the first day. Perhaps add some company swag in the form of a water bottle, coffee mug or company logo-wear to their welcome kit. Power-up their workstation to include all necessary supplies, technology, usernames and passwords that will be important for their work. If applicable order business cards, name tag, and ID badge before their first day. Provide a tour of the office along with introductions. Also, include a map of workstations so that they can easily find team members after the tour. Give new hires access to an employee directory and organizational chart. Take the new hire to lunch. Make a plan to take the new team member to lunch either in a group or 1:1. End of day wrap-up. Schedule a check-in at the end of the first day. Ask what went well and what could have gone better to gather insight as you plan for the remainder of their on-boarding. Repeat this check-in often. Create a schedule for the first two to three weeks. Pre-set essential meetings throughout the first weeks so that the new hire knows what to expect. Ideas include: meetings with business leaders, meetings with peers, having them sit in or join a special task force or project. Plan a formal sit down, or 1:1, with the manager and new employee at 30, 60 and 90 days. Assign ramp-up goals. What should the new hire accomplish in the first 30, 60 and 90 days? Schedule time for the new team member to train on all aspects of the business, not only their department. Cross-training and introductions to all departments in the first weeks can be helpful. Ask the new hire to rate his/her on-boarding at the end of 90 days. What went well? What could have gone better? A full 90 days. Yes, it is more intense upfront with the first day planned out by every hour. As the on-boarding progresses, you can check in and guide less frequently. Managers fail though when they stop engaging with their new hire after the first two to three weeks and assume they are all set. The ideal scenario with onboarding is that a business recruits a talented superstar and they meet their superstardom beginning on the first day. Engage them, train them and set them free to contribute their talents to the business. On-boarding can go one of two ways: an employee reports to their friends and family that “it’s fine,” or they report, perhaps even brag on social media, that they “made the best career decision ever.” It’s your choice. Amy McGeachy, PHR, is an HR consultant in Southwest Washington and the founder of McGeachy Consulting and The Exceptional Workplace. She has spent nearly a decade working hands-on with small business owners to cultivate their workforce and create the kind of businesses they’re proud to lead. It’s been a slow death, but the Annual Performance Review is for the most part, dead. Soon, we will no longer hear about the annual performance review from companies large or small. It’s a giant, unproductive exercise in project management for the CEO or HR leader with ineffective outcomes. Why are annual performance reviews so darn ineffective? They are a recap of a year’s worth of performance. The employees in the 2018 workplace want to spend time looking at the present and the future. They don’t want to look back at 12 months of performance whether it was good or bad. They are asking, what’s next for me, now? What’s coming in the next 3 months? Our workplaces are fast-paced.. Employees and employers need to have more regular communication about performance and waiting 12 months between reviews is simply too long to build any momentum or plan for development. Managers were never really good at them. That’s right, when you do something only one time per year you never really get in a steady cadence to be consistent and effective. Besides, most managers begrudgingly did them just to check to a box. And, I’m sorry! I have pushed the annual performance review in the past and even rolled out new systems to organizations. With a lack of employee/employer feedback it feels like an obvious tool to communicate but alas I think we can do better. We can communicate in better ways to create workplaces where feedback, goal setting, and coaching are frequent and executed with ease. Small businesses are embracing quarterly reviews. This can be a game changer for your culture, business goals aligned with individual goals, and communication. Let’s look at why and how to do this right. I am a humongous fan of dropping the annual performance review and replacing it with quarterly reviews. This can be a game changer for your culture when business goals aligned with individual goals and communication. Let’s talk more about why and how to do this right. Cadence - Setting a quarterly cadence helps keep the goals top-of-mind and allows managers and employees to get good at having quarterly performance dialog. Set achievable, top-of-mind, goals - Set goals that set are small bites (or at least bites of a bigger goal) which makes them easier to digest and accomplish. Accountability - With a quarterly cadence, and setting meetings in advance, there is accountability built into the process. Lightweight - Quarterly review are lightweight. They should be thought of a process that is used to manage performance and not an annual event that you do. Feed Forward - Annual reviews were a tool to provide feedback. Think of quarterly reviews as a way to feed forward and look ahead at goals and performance for the coming quarter. Follow these steps below or use our Quarterly Performance Goals download to get started. The download includes a how-to guide, sample review, and a fillable PDF and it can be found on this site under Premium Content. Lay the Foundation - Develop a structure for your quarterly reviews including basic guidelines (who, what, when, where, why and how). Communicate the process to your team and allow time for questions. Also, communicate your goal for continuous improvement in this process. For example, at first we are going to start by using only 3 questions and a 1-page form...in the future, we may add questions and perhaps even utilize software to help manage the quarterly reviews. Monitor and Improve - Once everyone has completed the first round of dialog seek feedback. Ask managers and ask employees so that you can get a sense of how things went. Look at the results of the review conversations (the quarterly review forms or documentation) for feedback. What are your goals for the quarter? How will you make progress towards those goal(s) this quarter? What tools and resources will you need to accomplish your goals? How does your goal contribute to the company’s overall business goals? What was your biggest accomplishment in the past quarter? What’s one thing that could be going better? Then, document what has been discussed (Google Doc, blank piece of paper, napkin, use this guide, whatever!) and make sure that both the employee and the manager get a copy. Set a date for the next quarterly review 3 months out. Rinse and repeat. Keep this process lightweight. One downfall of the ‘annual performance review’ has been the heavy burden that it creates for people. Your goal by changing your process is to make it effective and simple. If it’s too heavy and difficult you’re doing something wrong. Download your How-to Guide and Quarterly Performance Goals Worksheet. Your guide to ditching the annual performance review and replacing it with employee-driven, actionable quarterly goals. Ready ditch the annual performance review and replace it with employee-driven actionable quarterly goals? Consider joining The Exceptional Workplace premium content. There you will find the intuitive How-to Guide and a Quarterly Performance Goals Worksheet specifically curated for small and medium-sized businesses. Download your copy today and get started.